I will admit than when my kids first started watching Teen Titans Go! that I cringed. The New Teen Titans was one of the first superhero comics that I collected and I really enjoyed it. Teen Titans Go! seemed to be a mockery of a beloved comic series. However, after being in the same room as my youngest daughter binge watched Teen Titans Go! I grudgingly began to appreciated the show. I realized that there was some intelligence behind the episodes and that it was full of thoughtful satire. This brings us to their big screen appearance in Teen Titans Go! To the Movies. My daughter was super excited to see the movie but I was skeptical. Their short episodes were fine but a full-length movie? I was not sure. Yes there was some childish humour and some fart jokes but there was more to the movie. It was really a running commentary on the state of superhero movies. There were numerous jabs made at both DC and Marvel movies. I loved it when they called Slade (Deathstroke) Deadpool, since Deadpool was a Marvel knock off of Deathstroke. One of the funniest parts was a cameo by Stan Lee, who at first didn’t realize that this was a DC movie and not a Marvel movie. It ended up being one of the funniest Stan Lee cameos in any movie. As a long time comic reader, I enjoyed the running gang about the Challengers of the Unknown, a team that I was familiar with. Then there was Nicholas Cage’s long awaited portrayal of Superman. Many people will not be aware that Cage once almost played Superman in a live action movie. There were so many references to a wide variety of movies and comics that I could never comment on all of them. For someone like me, it was a good fun time of catching the connections. 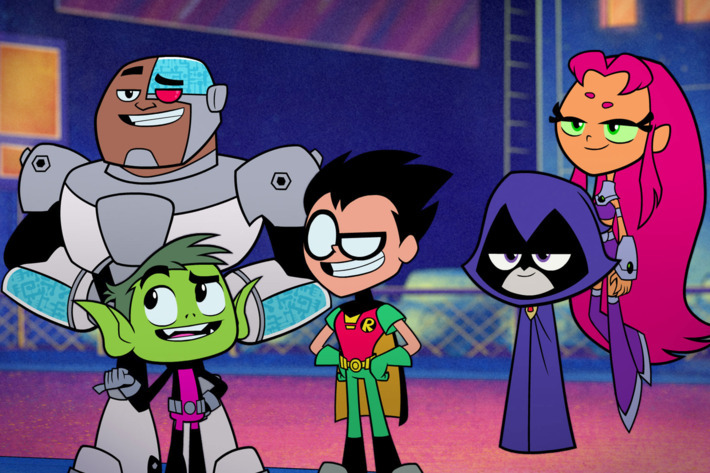 As a superhero movie, Teen Titans Go! To the Movies definitely wasn’t steak but it was a nice sweet dessert.